About me By Profession a Chartered Accountant. By Passion a Self Trader/Technical Expert/Fundamental Expert/Advisor. For more updates join my telegram channel Nifty Club India or Whatsapp me on 9891152322. Market is simple, so keep it simple. for any query related to Teaching/Education whats app me on 9891152322. 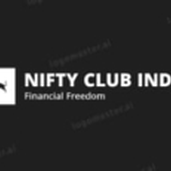 Trading Call for Friday Long IDFC First Bank Target 56.5 Stop Loss 53.50 Stock can also be buy for positional call for 2 months and expect a targets of 64-65.